Let’s take an honest look at the Shark steam mop. We discuss the features, consumer reviews and compare Shark mops against other steamers in the market. Are they as great as those infomercials make them out to be? Shark’s line of steam mops are created by the company Shark and are otherwise known as the Euro-Pro Corporation. These mops are heavily marketed throughout the US and world via many of those Television infomercials I’m sure you’re familiar with. If you’re here, and want a realistic review of these mops, you’ve come to the right place. We will discuss features, cost, consumer reviews and comparisons with other steam mops so that you can make a more informed choice. 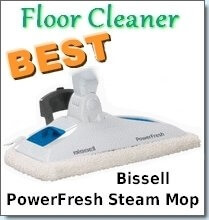 Almost all of the Shark steam mops are particularly light in comparison to other brands of steam mops including Bissell, H20 etc. They weigh in the range of as little as 3 lbs to 6 lbs. Because these mops are so light, it makes handling them easier and creates the least resistance when pushing along your floors. However, many consumers agree that because they are so lightweight, they can be a bit flimsy. Many consumers prefer the Bissell steam mop in this category as they tend to be sturdier, more durable and last longer. Each steam mop comes with at least 2 microfiber cleaning pads. These pads are very absorbent and strong and easily “capture” dirt within its fibers. If you’re buying a steam mop, it is recommended that you purchase one with microfiber pads as these will provide you the most bang for your buck. These pads can be washed and reused repeatedly. The Shark steam pocket mop is different in that it provides two sides for cleaning. The mop head is double sided which allows you to simply flip it over and continue cleaning. This is particularly useful when you have large areas to clean and don’t want to go through the trouble of changing cleaning pads mid-cleaning. Additionally, you usually get a triangular shaped head along with the normal mop heads. These are interchangeable and are great for use when you need to clean tight areas and around furniture. It is particularly useful for mopping around the toilet. 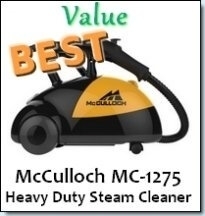 The Shark steam cleaners are relatively inexpensive especially when compared to the cost of other brands of steam mops. They are usually cheaper than Haan, Steamboy, H20 and Monster mops. The Bissell steam mop is however priced similarly to the Shark. This is however subject to change and varies a lot depending on where you buy. The best place to buy steam mops is on Amazon.com as their prices tend to be much lower. In comparing consumer opinions about the Shark steamer, many people agree that the Shark delivers just the right amount of steam. There are ongoing debates that the Shark beats the Bissell steam mop in this category as some think that the Bissell produces too much steam. Another great feature is that the Pocket mop absorbs the majority of the water residue that is left behind when steam cleaning. This helps your floors to dry much faster. Also, if you have both hard floors and carpets, the Shark includes a carpet glider attachment which allows you to steam clean your carpets. This allows you to get dual functionality with a Shark. All of the Shark models need very little prep time before being ready to steam: between 15 and 40 seconds and the Deluxe S3202 model even provides continuous refill. This means that you can refill the tank at anytime, even while cleaning so that you can clean for however long you desire without stopping. Now we shall have a quickly look at some individual models that are popular and widely used. Instead of just listing out features, we will provide you with what you really want to know: what are the experiences of people who have actually used it? The detailed reviews covering features and other information will be covered in subsequent articles which are linked to at the bottom of this page. The Shark S3501N Deluxe Steam Pocket Mop has earned a four star rating and will cost you about $45. Consumers liked that this model has a bigger tank than other steamers which can hold about 1 ¾ cups of water. The long power cord is a huge plus which was well appreciated as well as the 360 degree swivel head. Many found that it worked superbly on their floors and even though it left behind some water, it dried quickly. What’s interesting is that many of the reviewers either “love” this mop or flat out hate it. The negative reviews include that Shark has poor customer service which was outsourced to countries where they didn’t speak English very well. 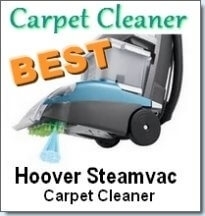 It is not recommended that you use this steamer on your hardwood floors as wood and water just doesn’t mix. Some reported streaking issues, while others found it cleaned well. One thing to note about streaking is that it will usually happen if you’ve used other cleaning solutions on your floors. After those solutions are completely removed then your streaking problems will disappear. The Shark Steam Mop S3101 has a 4 star rating from over 1000 reviewers and can be purchased for a mere $40. The major issue that consumers found to be unsatisfactory about this steam mop is the temperature of the steam. It can reach temperatures up to 110 degrees which is quite mild in comparison to other steam mops that reach temperatures over 200 degrees like the Envirosteamer, Haan and Monster steam mops. 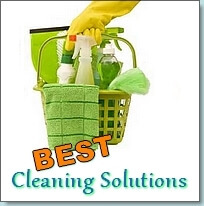 It is recommended that you use this mop for light cleaning jobs and every day surface cleaning.